God Friended Me is an actual television show about God friending a foolish atheist (presumably named Me) on social media. Then God uses memes or likes or whatever to overpower Me's free will and convince him to do good deeds. Something something something you might not believe in him, but he believes in you. You get the picture. CBS is convinced the show will be a huge hit. To quote John Lennon, "It will be bigger than the Beatles." In fact, the success of God Friended Me is so inevitable that there are already several spinoff series in production. Plot Summary: I never believed in God. Big time atheist. I was selfish and amoral and oblivious to the plight of others, because that's what atheism definitely means. But then one day at the local diner my tomato soup did not have enough salt. Lo and behold, the Lord our God handed me the salt shaker. 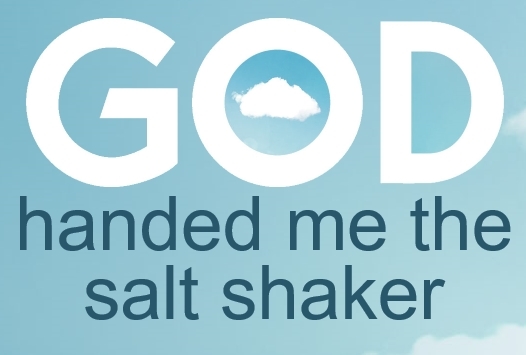 Now God hands me the salt shaker at every meal and every time it happens I find it harder and harder to deny the existence of God. Plot Summary: I, an atheist, saw the incoming call but ignored it. It turned out to be God. What the!? When the phone rings I still don't pick it up because there's a 50% chance it's a marketing call, but there's a good chance it's the guy who created the universe. Makes you think. 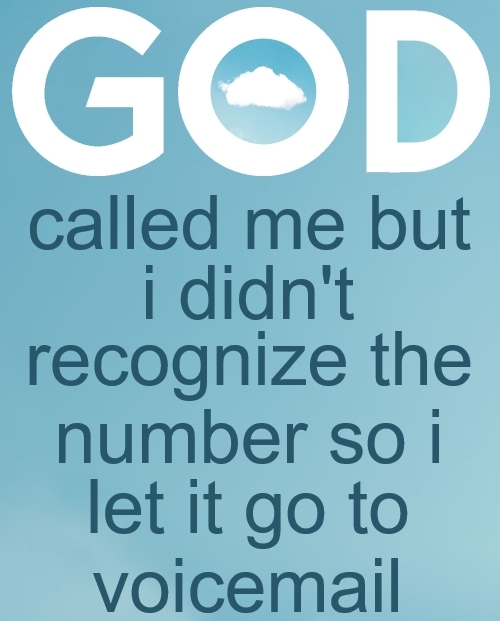 Now every time God leaves a voicemail I find it harder and harder to deny the existence of God. Plot Summary: My friends always told me that one day God would hit my parked car with his car then leave me a passive-aggressive apology note, but I didn't believe them because I am a non-believer. I never thought God would actually hit my parked car with his car then leave me a passive-aggressive apology note. Probably because I was so cynical and closed-minded. Yet that's exactly what happened. 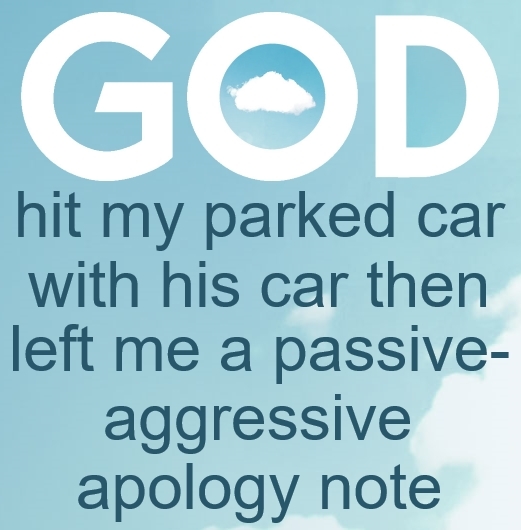 Now God hits my parked car with his car regularly, and the passive-aggressive apology notes he leaves guide me to perform acts of kindness that make the world a better place. Plot Summary: I, a huge atheist, did not believe in God. That all changed one day when I logged in to Steam and noticed that God set his online status to "away". This was curious for three reasons. First, it confirmed that God existed. Second, it seemed like God might have been avoiding me. Third, the only game in his library was JFK Reloaded. 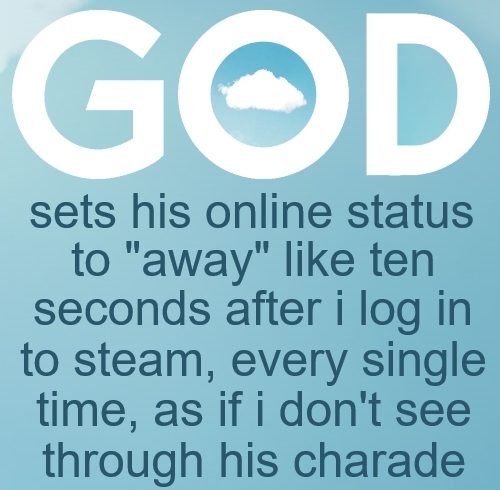 Now every single time I log in to Steam God sets his online status to "away" after like ten seconds, and I find it harder and harder to deny the existence of God.